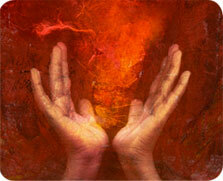 Your shamanic energy worker; career, life and spiritual coach, Munay-Ki mentor. Skilled in soul retrieval, destiny retrieval, extractions, illuminations, lifepath coaching, end of life work. Non-local/distance coach/healer, animal communicator, sound healer, crafter of personal ceremony for any occasion. Graduate of The Four Winds Society Light Body School, Masters Program, Dying Consciously Certified Teacher, Advanced Client Skills in Luminous Healing and Energy Medicine, Way of the Sage Program, Advanced Practitioner in Soul Retrieval & Destiny Retrieval. Trained in Family to Family Program by NAMI, Certified Sound Healer. Practitioner Member ACEP, AHHA, AIMA, ASD, HOTA, SHA, SSP. Member of the Clergy since 1971. By appointment on phone and in person at Willits Chiropractic Clinic 1225 S Main Street Willits CA 95490. Member Willits Chamber of Commerce, Team Member Avenues To Wellness project of Howard Foundation, Frank R Howard Memorial Hospital. To schedule an appointment please e mail kitty@kittynorris.com.